We are only into the second month of the year and I am emotionally spent. 45 is in office, and every day, there’s more chaos and less stability. Not trying to be dramatic, but it’s a hard knock life right now. I wasn’t expecting a lot out of this year’s Oscars, but I was fooled. Something good happened and it was like the sun rays pouring down on me after days of elicit darkness. The delight came, and so did the tears. 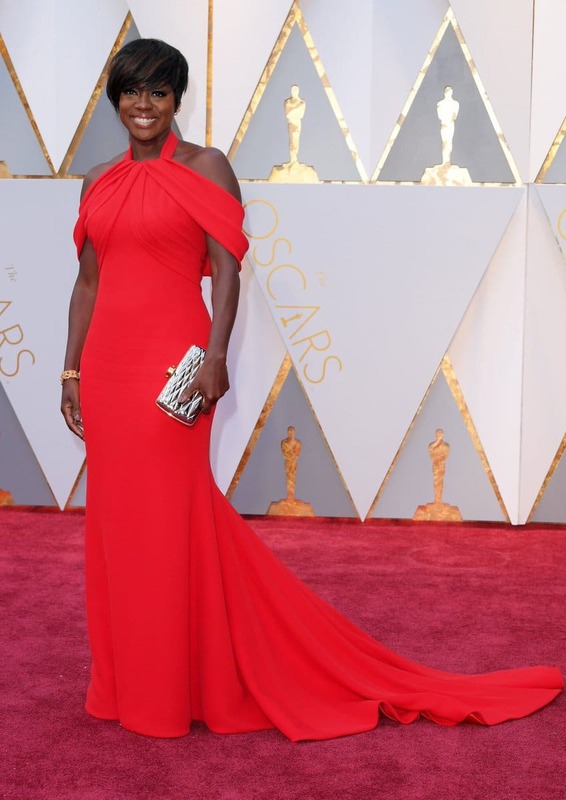 The chocolate queen that is Viola Davis finally won her Oscar and I just about lost it. All that epicness and talent and radiant beauty and greatness poured into that Armani Prive red gown. She became a freaking beacon of light! Royalty in the blackest form. 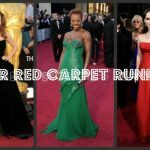 We’ve heard Viola give exceptional speeches before (i.e. Emmy’s), but this time, I lost it. As I thought of her being a bride and no longer a bridesmaid as an official Oscar winner, her gratitude, her joy, her honesty was so poignant and right on time. We see the phrase Black Girl Magic being used in the mainstream, but most of us hardly value it. The real magic is being true to yourself and to your craft, giving your all and never phoning it in. It means hard work, creating, envisioning, and putting it out there. Viola is more than magic. She’s a realization of the power and purpose us sisters possess. She thanked the people who are no longer here to tell their stories. These are the real heroes, the people who lived being ordinary and forgettable. Without them, there wouldn’t be emotional films that tug at our heartstrings. Celebrities and powerful people seem to get all the glory, but the world nor Hollywood wouldn’t exist without regular Joes and Janes. The untold stories are the unsung heroes. She shouted out God, she showed love to her parents, to her co-stars with tears in her eyes and a quiver on her lips. She thanked Denzel, the man who helped make it possible for Fences to be a film. 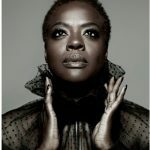 Viola gave credit to August Wilson, one of the greatest playwrights ever and Fences creator. And last but not least her husband and child who are her “foundation”. Getting credit means giving it, and that she did on one of the largest platforms ever. 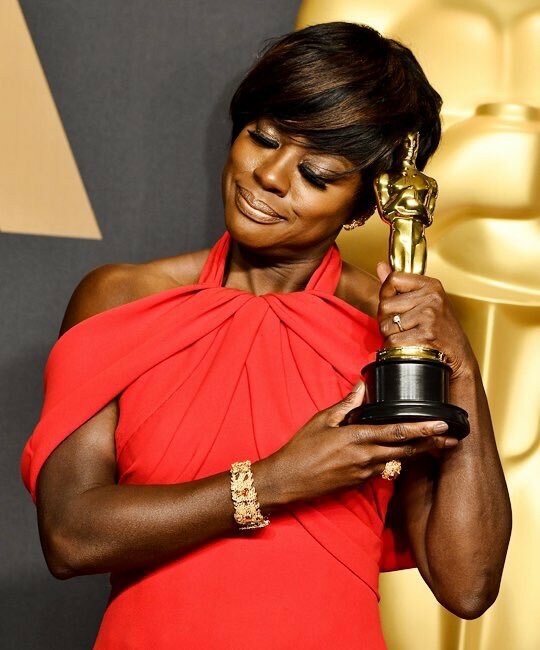 When I thought about the previous times Viola had been nominated and hadn’t won for her worthy work, seeing her up on the stage with the golden Oscar in her hand made me tremble. I am not a huge emotionally driven person but the tears started and I could’t stop them. I felt like it was me winning. Marhashala then Viola (then Moonlight winning Best Picture after “losing”)—all of this mocha wonder. This was a good night! In our careers, we can often feel overlooked, slighted, and not important enough as others get awards and acclaim. You have to stick in there and do good work and focus on what is important and eventually, those deserving accolades will come. 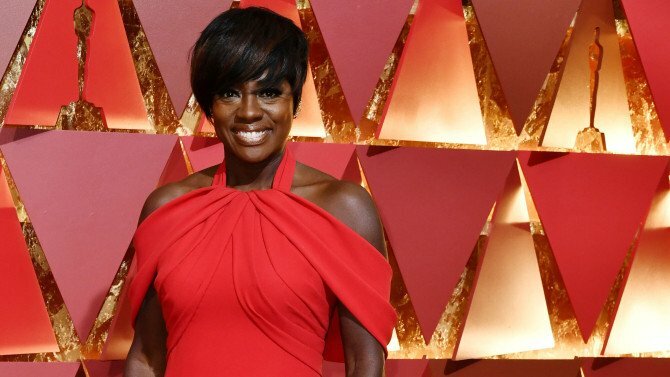 This isn’t to say that an Oscar validates Viola Davis. Her immense gift is a testament to her craft—her body of work is undeniable. She deserved that. She deserved her moment on that stage as a recipient. She was worthy of that designation. 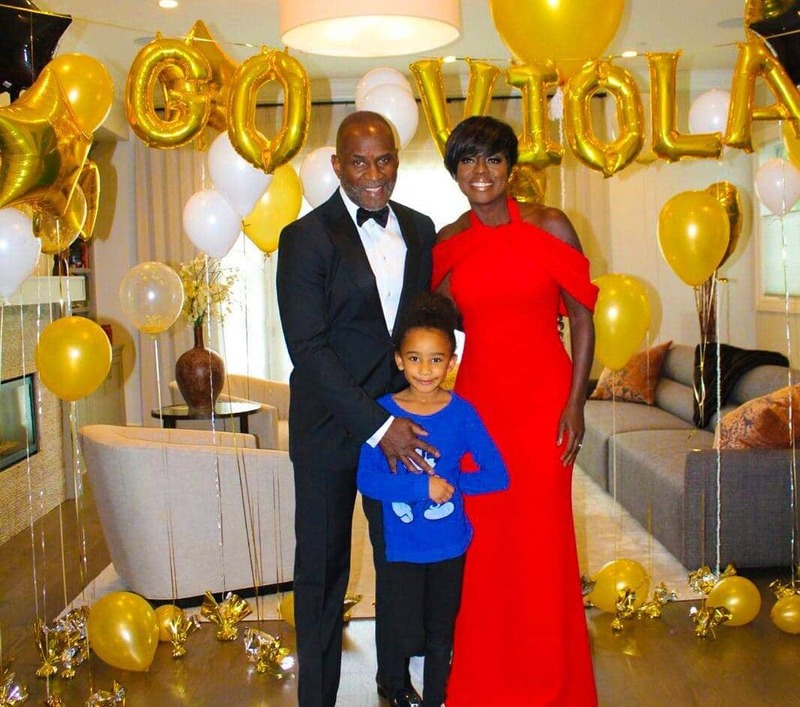 Congratulations, Viola. We are proud of you, sister.